What's on your Daily Viewing List? Discussion in 'Blu-ray and UHD' started by Robert Crawford, May 11, 2013. TravisR and Dave Moritz like this. The broadcast was in HD, but I suspect The Canterfield Ghost was the same SD transfer from the DVD (there was some dirt, damage, and reel change markers). Anyway, it's always enjoyable to watch, and Charles Laughton looks like he's having a whale of a good time (as reportedly he also had with It Started With Eve; the tortured Laughton we hear so much about from the 1930s seems to have mellowed by the 1940s). In interviews, Jules Dassin wasn't very proud of this movie, but I don't see why. It's directed with surety and a light touch. Right, I think it's a good, entertaining film that Dassin should be proud of especially since he had to take over mid-production. I just don't know where the time goes. You'd think being retired would offer almost unlimited time to accomplish your daily routine, but I find myself without enough hours in the day to do everything I want to do. I never got to Love Never Dies yesterday, so I'll attempt to get to it today. Tell me about it Matt. There is never enough time for me either. This has been THE biggest realization of my retirement: there just aren't enough hours in the day. I don't know how I ever accomplished ANYTHING when I was working full-time! Last night I had another viewing of Twilight Time's Blu-ray disc of The Revolt Of Mamie Stover. I seem to enjoy this film more every time I watch it! In addition to last night's Noir Alley presentation, I have recorded two other films off TCM that I'll be viewing today: Suzy with Jean Harlow and The Late Show with Art Carney and Lily Tomlin. 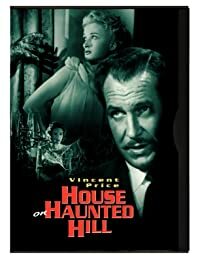 The latter film has built up quite a reputation since its theatrical release that I saw back in the 1970s for the only time, and I'm eager to see it again. dana martin, Dave Moritz and DFurr like this. So it's time to get into the spirit of the Halloween season. 35mm SRD or DTS, my choice. Toronto Argonauts, dana martin and Dave Moritz like this. 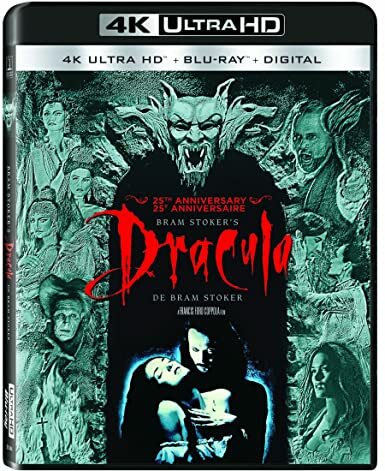 I didn't get to The Late Show yesterday,so that is a priority for today along with the second Dark Shadows movie which I've never seen before (it got such horrid reviews I never went to it and haven't caught up with it after all these years). I'm also continuing to stream one episode per day of The CHilling Adventures of Sabrina and Midsomer Murders. I watched The Late Show this evening. I had forgotten that its plot is as labyrinthine as the plot of The Big Sleep, and when it's all finally revealed, we find ourselves among a great pack of liars and charlatans. Lily Tomlin's motormouth might have been toned down just a smidge; it's really overpowering, but the cast is nevertheless wonderful. The transfer on TCM is not ready for Warner Archive Blu-ray. It had dirt, damage, and reel change cues. Keeping with the season. My first time on the big screen. DFurr, Toronto Argonauts and dana martin like this. I have a review item to work on today. Otherwise, it's a TV catch-up day with three shows from last night and the regular streaming of Sabrina and maybe Midsomer Murders if I can squeeze it in. In addition to some TV catch-up, I'll be watching Hotel Transylvania 3 in UHD today. so this morning, The Original UK cut, just a completely all-around beautiful package and presentation. Dave Moritz and TravisR like this. dana martin and Toronto Argonauts like this.